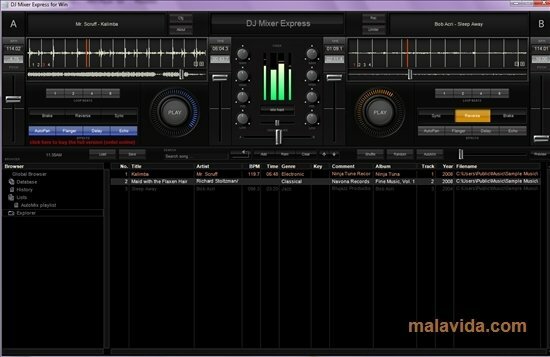 DJ Mixer is a mixing software application for DJs that will allow you to complete music sessions with total ease. Its simplicity is ideal for people that have just started in the music world, although the program also has powerful tools that will satisfy the needs of the most demanding users. It's only necessary to open the application and load its own search engine to look for any file in your music folders. 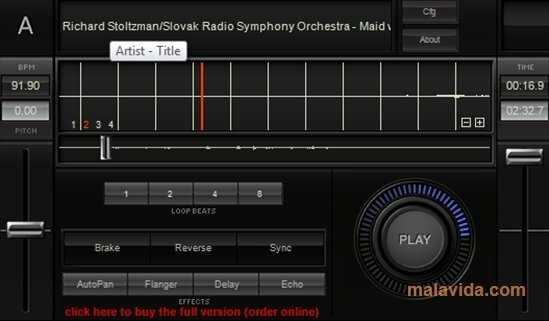 By dragging and dropping the files on each of the players you will be able to mix your favorite music. 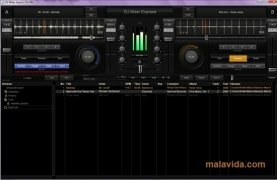 The software has automatic mixing options, automatic tempo and pitch detection, creation of loops and CUE points, VU meter, BPM counter, automatic gain leveling and 6 effects of all kinds among many other options. 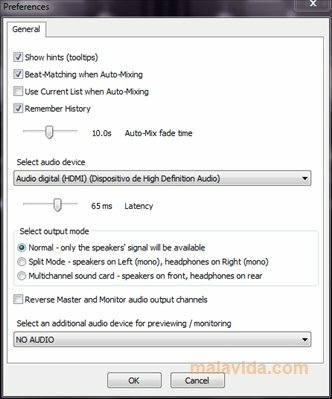 It includes support for low latency ASIO drivers, so if you have a compatible computer you'll be able to make the most of this software's performance. 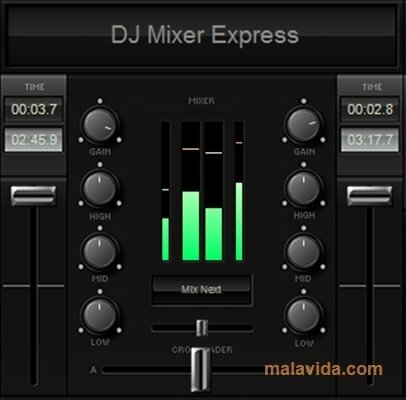 If you're interested in creating your own music mixes you should try out DJ Mixer Express.